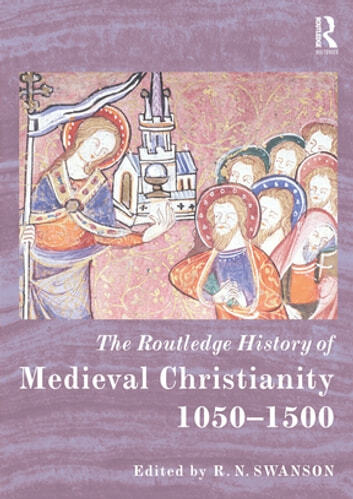 The Routledge History of Medieval Christianity explores the role of Christianity in European society from the middle of the eleventh-century until the dawning of the Reformation. Arranged in four thematic sections and comprising 23 originally commissioned chapters plus introductory overviews to each part by the editor, this book provides an authoritative survey of a vital element of medieval history. Comprehensive and cohesive, the volume provides a holistic view of Christianity in medieval Europe, examining not only the church itself but also its role in, influence on, and tensions with, contemporary society. 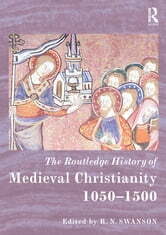 Chapters therefore range from examinations of structures, theology and devotional practices within the church to topics such as gender, violence and holy warfare, the economy, morality, culture, and many more besides, demonstrating the pervasiveness and importance of the church and Christianity in the medieval world. Despite the transition into an increasingly post-Christian age, the historic role of Christianity in the development of Europe remains essential to the understanding of European history – particularly in the medieval period. This collection will be essential reading for students and scholars of medieval studies across a broad range of disciplines.